The founder of the line Nakamura Kanzaburô I held this name from his birth in 1598 to his death in the 6th lunar month of 1658. The actor and zamoto Nakamura Kanzaburô II held this name from 1662 to the 8th lunar month of 1674. The actor and zamoto Nakamura Kanzaburô III held this name from the 9th lunar month of 1674 to the 8th lunar month of 1678. The actor Nakamura Denkurô I held the name of Nakamura Kanzaburô IV from the 8th lunar month of 1678 to the 12th lunar month of 1683. The actor and zamoto Nakamura Kanzaburô V held this name from the 10th lunar month of 1684 to the 9th lunar month of 1701. 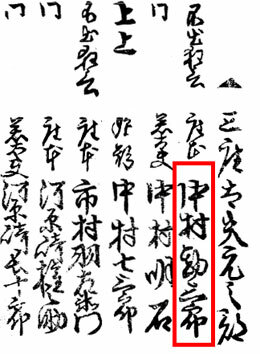 The zamoto Nakamura Kanzaburô VI held this name from the 10th lunar month of 1701 to the 7th lunar month of 1750. 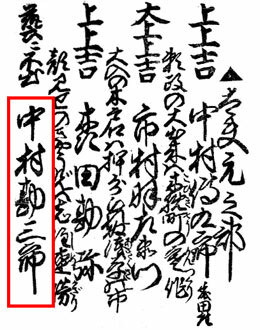 The zamoto Nakamura Kanzaburô VII held this name from the 8th lunar month of 1750 to the 2nd lunar month of 1775. The actor and zamoto Nakamura Kanzaburô VIII held this name from the 9th lunar month of 1775 to the 11th lunar month of 1777. Born in Edo in 1765. 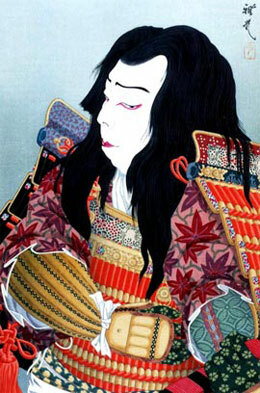 Grandson of Nakamura Shichisaburô II, he started his career as a koyaku in 1769, performing under the name of Nakamura Shichinosuke I. 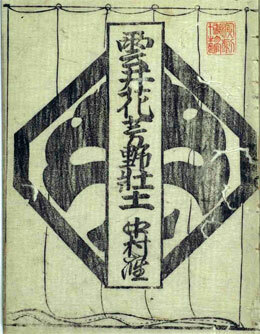 A great shûmei for Matsumoto Kôshirô II and Ichikawa Danjûrô V was staged at the Nakamuraza in the 11th lunar month of 1770, as part of the in the kaomise drama "Nue no Mori Ichiyô no Mato". Nakamura Shichinosuke I and his grandfather Nakamura Shichisaburô II respectively took the names of Nakamura Shichisaburô III and Nakamura Shôchô during this event, which also celebrated the arrival in Edo of Ichikawa Danzô III and Yamashita Kinsaku II. 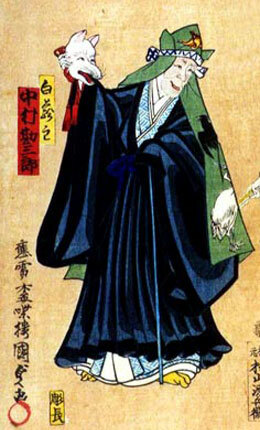 Shichisaburô was adopted in 1777 by Nakamura Kanzaburô VIII, who died the 15th of the 11th lunar month of 1777. He finally took the name of Nakamura Kanzaburô IX in the 1st lunar month of 1778 and managed the theater for 8 seasons, up to his sudden death the 29th day of the 7th lunar month of 1785 . He was the father of the playwright Nakamura Jûsuke II. 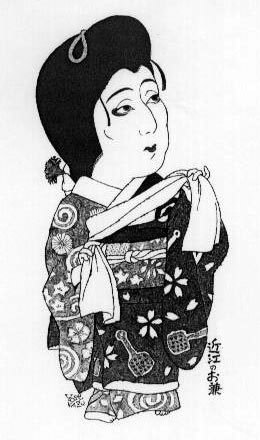 Born in Edo in a wealthy family living in the district of Asakusa Fukui-chô. His name was Saitô Kumakichi. 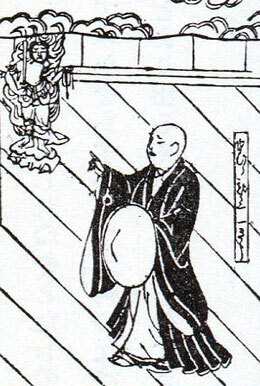 He gave 300 ryô to Nakamura Kanzaburô VIII in order to marry his daughter Osan. He took the name of Nakamura Kanzaburô X in the 6th lunar month of 1786 and became the new zamoto of the Nakamuraza. 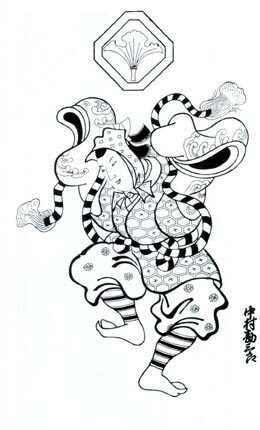 He produced at the Nakamuraza in the 11th lunar month of 1786, along with , on the kaomise drama "Kumoi no Hana Yoshino no Wakamusha", which was written by Kanai Sanshô, Katsu Hyôzô I and Nakamura Jûsuke II, which welcomed in Edo the Kamigata actor Arashi Murajirô and starred Sawamura Sôjûrô III, Ichikawa Yaozô III, Ôtani Hiroji III, Onoe Matsusuke I, Osagawa Tsuneyo II, Sanogawa Ichimatsu III, Nakajima Kanzaemon III and Bandô Matatarô IV. This was the only kaomise program he could ever produced. He tried to manage the theater but the debt was too heavy and, in a cowardly way, he decided to run away in the 4th lunar month of 1787. He died in Edo the 3rd day of the 5th lunar month of 1810 . 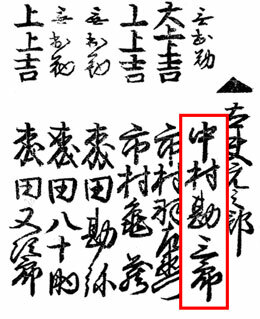 The zamoto Nakamura Kanzaburô XI held this name from the 4th lunar month of 1787 to the 8th lunar month of 1829. 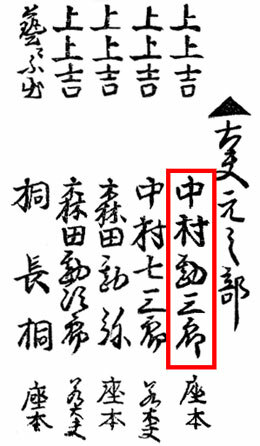 The zamoto Nakamura Kanzaburô XII held this name from the 8th lunar month of 1829 to the 3rd lunar month of 1850. 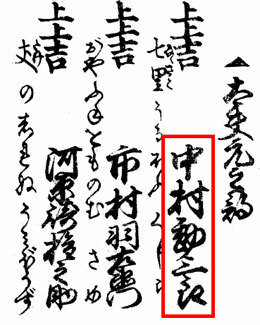 The zamoto Nakamura Kanzaburô XIII held this name from the 4th lunar month of 1850 to 1875. The actor Nakamura Nakazô III never officially held the name of Nakamura Kanzaburô XIV but he was considered as the 14th in this line of zamoto. The zamoto Nakamura Akashi V, son of Nakamura Kanzaburô XIII, never officially held the name of Nakamura Kanzaburô XV but he was considered as the 15th member of this line. 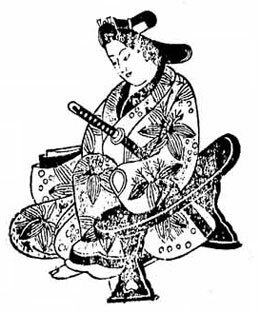 Nakamura Fujiko, the daughter of Nakamura Akashi V and granddaughter of Nakamura Kanzaburô XIII, was considered as the 16th member of this line. The actor Nakamura Kanzaburô XVII held this name from January 1950 to April 1988. The actor Nakamura Kanzaburô XVIII held this name from March 2005 to December 2012. The 29th day of the 7th lunar month of the 5th year of the Tenmei era was the 2nd of September 1785 in the western calendar. The 3rd day of the 5th lunar month of the 7th year of the Bunka era was the 4th of June 1810 in the western calendar.